Delux Deco is a fast growing company which offers a wide range of luxury furniture products from a large scope of suppliers. With over five years of experience, the company has clients all over the world, the best prices and premium quality products. The business focuses on delivering the quality products direct from the source to each and every customer who orders products from the website, with customisable options for large quantity orders and international shipment. We have partnered with Delux Deco to help take their business to a completely new level. All the work that was done for revamping the website, offers new development perspectives to the company to help it maintain its key position in the furniture industry, outshining their competitors. Our team took the time to analyse their requirements and, due to a close collaboration, we created a brand new website with a fresh look, user-friendly design and effective business management. All the new custom modules we developed using up-to-date technology, fit their specific needs. The site is fully responsive on all devices and remains usable across all modern browsers. 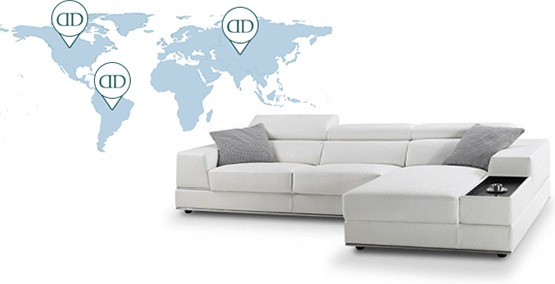 For Delux Deco we implemented Order Tracking System with email and SMS notification, which allows the customer to be informed about the whole purchasing procedure, from order to production, shipment and finally delivery of the goods to the customer. Master Delivery is a new module developed by us especially for Delux Deco. It is a tool that helps the company keep track of delivery details in an orderly way. Infinite scroll is a feature that allows user easily see all products when scrolling down and no pagination needed.